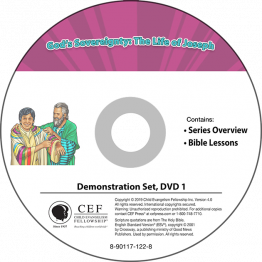 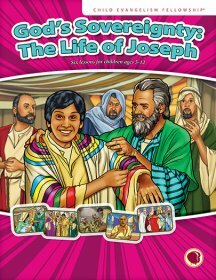 This six-lesson series on the life of Joseph will help you guide the children to trust God, even in hard situations. 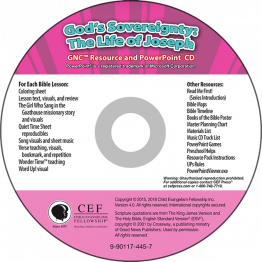 The lessons include a history of Jacob’s family and God’s promise to send the Redeemer through this family; Joseph life—from favored son, to slave, to prisoner, to a ruler of Egypt—and God’s control over it all; and a “Royal Celebration” review lesson. 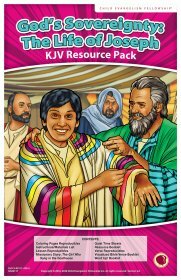 Throughout these lessons, children will be pointed to Jesus, the Savior who came from Jacob’s family. 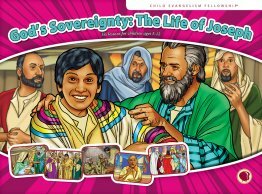 They will also learn to trust God because He has control of their life and He will work things together for their good.